So, your marketing automation software has tagging capabilities, and now you’re flying down your list of contacts, handing out tags like candy at a parade. But whoa there, cowboy. While frivolous tagging is insanely easy to do (and, we’ll admit, sounds like a bit of fun) this approach can cause big problems down the line. The truth is, like any part of your marketing, tagging should be planned, tested, and optimized to fit your business objectives. Let’s take a look at the top best practices for tagging and segmenting contacts for your marketing automations. Plan your tags in advance. Demographics. You could go in many different directions with this one, so pick demographic information that’s relevant to your content and your marketing strategies. “Favorite TV show” may be useful when fleshing out a marketing persona, but it may not be so helpful as a tag category (unless, say, you’re Netflix or Hulu, and you want to segment customers based on which shows they like). Customer journey. Where is this contact in the buyer’s journey? Are they freshly aware of your brand, or have they engaged with you before? Have they made a purchase? Multiple purchases? Behavioral. Behavioral tags can include both online and offline behaviors – purchases made in-store, coupons redeemed, subscriptions to mailing lists, or content consumed on your website. Talk to your whole team to brainstorm category and tagging ideas. Get input from all of your team members (beyond your sales and marketing staff) for ideas on how your customers should be labelled and grouped. When it comes to segmentation for remarketing and customer retention, you may find a goldmine of insights simply by including your customer service team in this conversation. Use high level categories, hierarchies, and clear names for your tags. This one’s especially important if multiple people will be using tags in your CRM. While “LinkedIn” or “Cloud” as a tag may make sense to you, it may be completely nebulous to another user. Optin: Segment customers based on how they joined your mailing list. Imported: States where a contact was imported from. Interest: Describes a topic or product that the contact is interested in. Purchases: Denotes products or services purchased. Marketing: Describes stages in your marketing. Demographic/Segmentation: These words could be used for a category under which you tag for demographic data, like age, gender, or geographic location. Pay attention to spelling, letter case, and symbol usage. It may not seem important now, but if you launch an email marketing campaign that targets “Facebook Users” only to find out that you also have hundreds of contacts tagged as “Facebook” and “FB users,” you may be in for a struggle later. This best practice falls under the broader one above: if you make a plan and predetermine all of your categories and tags, you shouldn’t run into trouble with duplicates and variations. Many CRM platforms offer automatic tagging – meaning a customer will be tagged with a specific label automatically after performing an assigned action. Furthermore, these tags are “scored,” meaning you can see if a customer took a specific action several times or just once. This means you can go even deeper with your marketing campaigns, targeting your contacts not just based on behavior but on frequency of behavior, allowing you to dish up unique content for warm leads versus colder ones. Clean up and archive old tags. Set a date on your calendar a couple of times a year to check tags for relevancy. 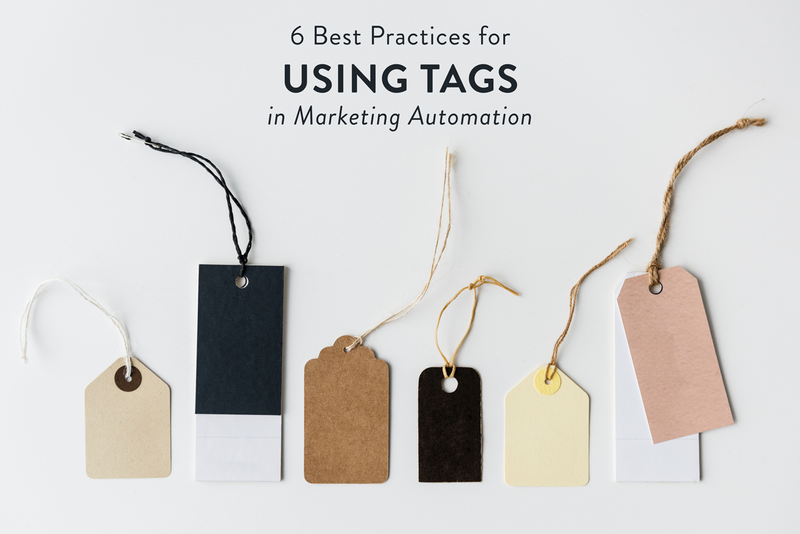 Tags will evolve as your business does, so you’ll need to frequently clean up your list and introduce new tags to the mix. If you’re unsure about deleting a tag (but you don’t use it often), don’t remove it – change the category name to “Archive” and give it a descriptive name.